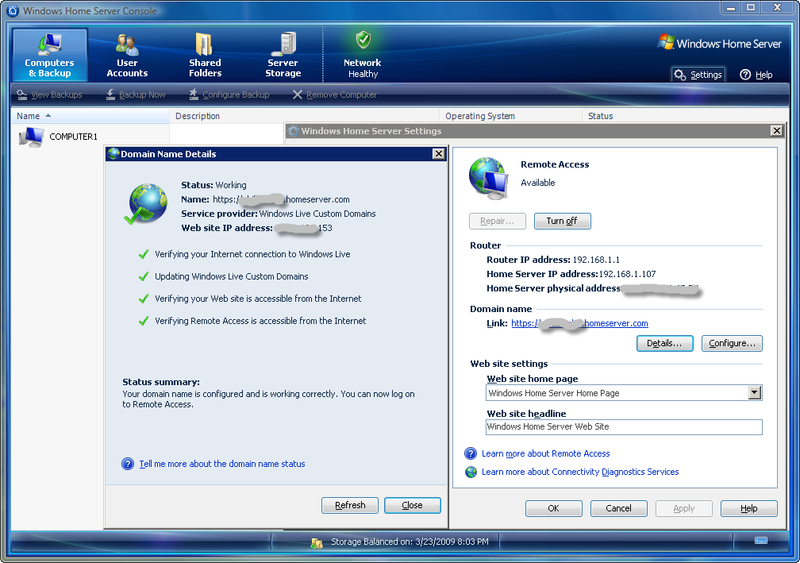 As of Tuesday, March 24 (2009) Windows Home Server Power Pack 2 will be available for download via Windows/Microsoft Update. As you are properly aware this minor release of Windows Home Server has been known by the codename Snoqualmie (or SnoQ internally within Microsoft) which is Power Pack 2 (PP2) for Windows Home Server. 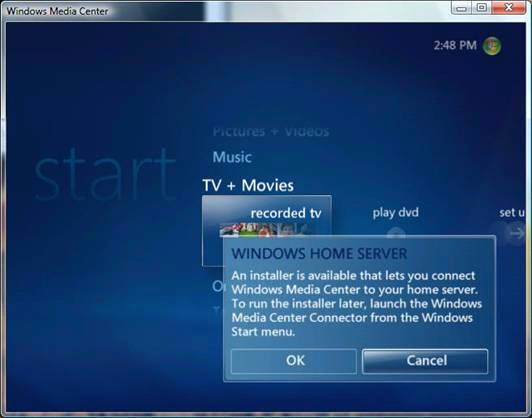 The great news is that new in this version you can now install a connector on a Windows Media Center PC (Vista or Windows7) and view your Windows Home Server shared folder content within Media Center either via that PC or on a Windows Media Center Extender. This means that you can now view your shared photos, videos and recorded tv or listen to your shared music within Media Center. 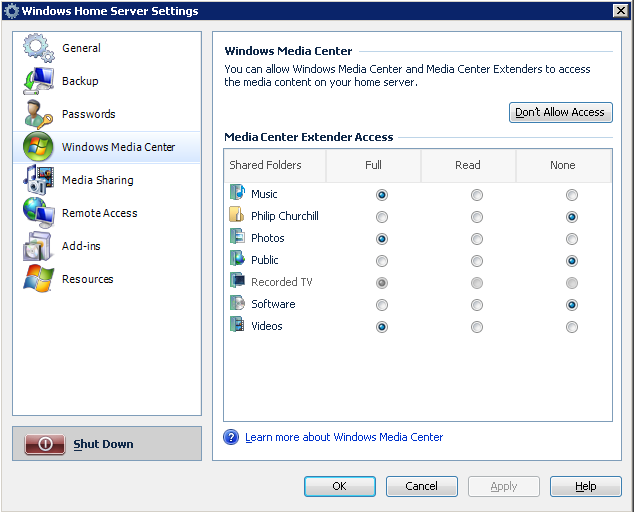 These libraries are automatically updated to include your media shared folders on your home server. MP4 audio and video file support has been added and content that is stored on your home server and that is shared via Windows Media Connect, including files with extensions .mp4, .m4v, .m4b and .m4a, now appears in the music or video library with title, artist, composer, album, and genre metadata. In addition to the existing Chinese, English, French, German, Japanese, and Spanish versions, Power Pack 2 also includes Italian language support. The remote access settings experience is now simpler with a new configuration and repair wizard for the remote access feature. A more accurate status to test whether or not remote connectivity is available from outside the home network along with better troubleshooting guidance for common home networking issues that can prevent remote access from working properly has been implemented. Power Pack 2 provides new functionality to help prevent the issue where a home computer backup process stopped at 79 to 81% when trying to restore files and folders from a home computer backup. 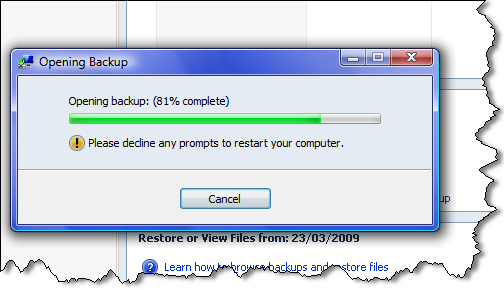 Some issues used to occur when restoring files and folders from a Home Server Backup located on an external hard disk drive to the software shared folder on a Windows Home Server-based system. PP2 adds functionality to prevent the unintended restoration of older versions of the Windows Home Server Connector software from overwriting newer versions of the files. The notification messages about the files that are stored in shared folders may have caused high CPU utilization for applications that were accessing these files. The amount of notification messages has been improved so that applications such as the Microsoft Zune software, that may be running at the same time, no longer consume excessive processor resources. 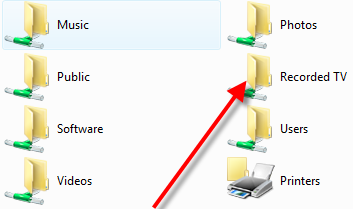 When copying large files or folders from a Vista PC to a shared folder on the home server the file size is limited to the free space on the target hard disk drives that are connected to the home server and is not limited by the free space on the primary hard disk drive of the Windows Home Server-based system as was previously. It great that Power Pack 2 (PP2) is finally here and although mainly a bug fix release, media center lovers will rejoice, now that our backups, server storage and media needs are more closely linked. The English version of Power Pack 2 will automatically install as part of Windows Update (if Automatic Updates is enabled on the home server) and you will need to have Windows Home Server with Power Pack 1 already installed on their home server beforehand. Chinese, French, German, Japanese and Spanish is currently scheduled to be available before the end of April. For those of you wishing to know more, the Release Documentation for Power Pack 2 is available in .doc format to download from here. Thank goodness – will try iy out in a few hours. Now a big question – divx is mp4, if the file extensions are renamed, do they stream? 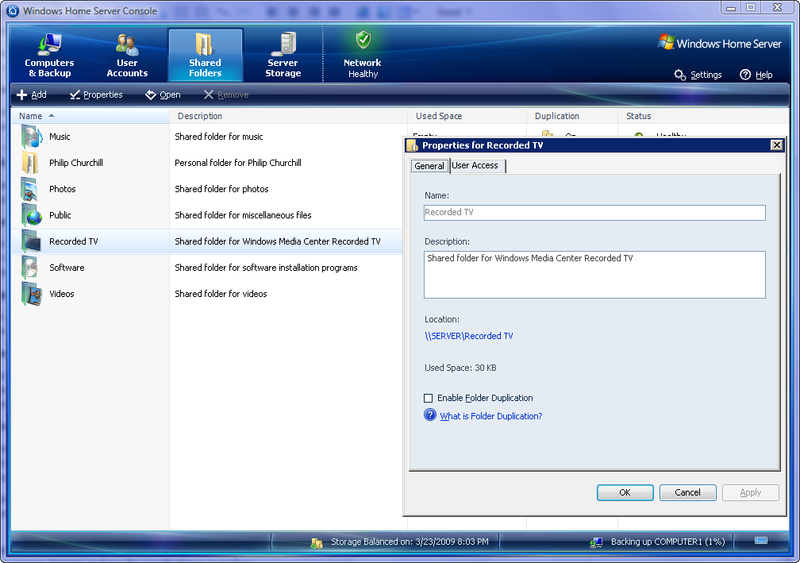 What happens if I already have a “Recorded TV” folder on the WHS? Is it safe? Can we manually download it? Anyone know if the MP4 support includes Apple Lossless? I cannot access the recorded t.v. via the shared folders on any machine but the server… also the xbox doesnt seem to pick it up >I dont use MCE I just use the built in streaming functions. After several months I still do not get PP2 showing on windows update. I have tried “restore hidden updates” and it’s just not there. What a pain – why can it not be downloaded in a stand alone package?